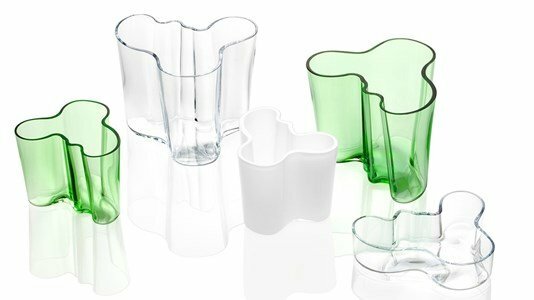 Vase 95mm by Alvar Aalto for Iittala, fabulous as a decorative piece. Alvar Aalto is one of the great names in modern architecture and design. The famous design was known to the world in 1937 at the Paris World Exposition. The craftsmen of the Iittala factory are meticulous in manufacturing the legendary vases and bowls. The organic forms allow each one to use it in various ways. Different interpretations and new colors have been added to the collection, staying true to the original design.